PLEASE READ THE FOLLOWING SOFTWARE AGREEMENT CAREFULLY BEFORE USING THIS WEBSITE, INDICATORS, OR PRODUCTS. All users (the “Recipient”) agree to abide by and be bound by the terms container herein of this site and agree that access to and use of this site, indicators, or products are subject to the following software agreement and other applicable law. If you do not agree to these terms, please do not use this site, indicators, nor products contained within. Automating Alpha, LLC, Automating Alpha, AutomatingAlpha.com, The Indicator Club, LLC, The Indicator Club, and TheIndicatorClub.com, including its Officers, Members, Employees, Representatives, and Agents (henceforth referred to as “Author”) is not a registered investment advisor or broker dealer and does not provide investment advice to individuals. None of the website content, trading room, blogs, software, indicators, email newsletters, affiliated social media pages to include, but not limited to, Facebook, YouTube, and Twitter, 3rd party forums, Webinars, voice chat room content, or communication from Author otherwise (henceforth referred to as “Author Content”) should be construed as a recommendation or solicitation to buy or sell any security or as investment advice. All Author Content are provided for information and educational purposes only. Your investment decisions are solely your responsibility and it is highly recommended that you consult a licensed financial advisor or broker, attorney, or your CPA, before making any and all investment or financial decision. Always seek advice and guidance from professional, licensed, and registered investment advisors, financial advisors, tax advisors, and legal advisors prior to making any investment decisions. By viewing Author Content or any content created or replicated by Author, you acknowledge that you understand and accept the disclosures herein. If any provision in these disclosures is found to be invalid, unenforceable, or nonsensical, the remaining provisions will continue in full force and effect. Please read this agreement carefully. It contains important terms that affect the Recipient and their use of the software and services. By agreeing to these terms, or by installing, copying, or using the software, Recipient agrees to be bound by the following terms, including the disclaimers contained herein. If Recipient does not agree to these terms, do not agree to to these terms, install, copy, or use the software or services. Software. Software shall mean the software provided by Author for Recipient to use on Recipient’s Trading Platform. License Grant. Author grants to Recipient a limited, non-transferable license to use the Software in accordance with the terms of this Agreement. Permitted Uses. Recipient may install and use the number of copies of the software that Recipient has purchased. Additionally, Recipient has been granted a license solely for personal, non-commercial use. Distribution. Recipient may not distribute, license, loan or sell the Software or other content contained or displayed in or by the Software. Modification. Recipient may not modify, alter or create any derivative works of the Software. Reverse Engineering. Recipient may not reverse engineer, decompile, decode, decrypt, disassemble, or in any way derive source code from the Software. Proprietary Notices. Recipient may not remove, alter or obscure any copyright, trademark or other proprietary rights notice on or in the Software. Support and Maintenance. Author has no obligation to provide any support, maintenance, or other services. Bugs. Should Recipient identify any issue with the Software, Recipient will provide Author with all details necessary to reproduce and fix such issue. Confidentiality. Recipient will ensure the confidentiality of all documents, Software, and communications provided by Author. Public Disclosure. Recipient will refrain from making any public statement in regards to this agreement, the trading system, Software, correspondence between the Author and Recipient, and corresponding results unless authorized in writing by Author, or required to be disclosed in a judicial proceeding or otherwise required to be disclosed by law or regulation. Contravention. The information, data, methodologies, Software, and services provided by the Author are available for purchase and are not intended to be published or made available to any person in any jurisdiction where doing so would result in contravention of any applicable laws or regulations. Accordingly, if it is prohibited to make such Software available in the Recipient’s jurisdiction or to the Recipient (by reason of nationality, residence or otherwise) it is not directed at the Recipient. Before making a purchase of any software or services from the Author, Recipient must be satisfied that doing so will not result in such a contravention and is not so prohibited, and by proceeding to review them Recipient will be confirming that this is not the case. Auto Renewal. Recipient’s membership will automatically renew for the monthly, quarterly, annual or other subscription period originally signed up for, until Recipient notifies Author of decision to terminate membership and completes the cancellation procedures through the Recipient’s online account portal before the end of the existing subscription period. Accordingly, Recipient agrees that any membership fee or subscription will be billed automatically at the beginning of each renewal period at the prevailing rate to the payment method used in the most recent transaction. Subscription Term Modification. Recipient may modify the length of the subscription service selected. Upgrades to a lengthier term will occur immediately. Downgrades to a shorter term will result in a credit of the remaining length of the existing term and can only be used towards the new subscription term. Credit balance in the Recipient’s account will not be refunded and is only permitted to be used towards a subscription service provided by the Author. Insufficient Funds / Failed Payment. Any failed payment or insufficient funds will result in the immediate termination of the Recipient’s subscription service. The Recipient may request to cancel the renewal of the subscription through the online account portal prior to the end of their existing subscription. Any credit remaining in the Recipient’s account balance at the end of the term, can only be used for the renewal of a subscription service. Errors/Omissions. Any typographical, clerical or other accidental errors or omissions in any sales literature, quotation, price list, acceptance of offer, invoice or other document or information issued by the Author shall be subject to correction without any liability on the part of the Author. As Is. The Software and Services are provided “as is,” with all faults, defects and errors, and without warranty of any kind. Bugs and Errors. Author does not warrant that the Software and Services will be free of bugs, errors, viruses or other defects, and Author shall have no liability of any kind for the use of or inability to use the software, the software content or any associated service. Disclaimer of All Other Warranties. Author disclaims to the fullest extent authorized by law any and all other warranties, whether express or implied, including, without limitation, any implied warranties of merchantability or fitness for a particular purpose. NinjaTrader Affiliation. NinjaTrader® is a registered trademark of NinjaTrader Group, LLC. No NinjaTrader company has any affiliation with the Author’s products or services described herein, or any interest, ownership or otherwise, in any such product or service, or endorses, recommends or approves any such product or service made available by Author. Risk of Loss. Trading stocks, futures, options or spot currencies involves substantial risk and there is always the potential for loss. People can and do lose money. Past performance does not guarantee future results and is not indicative of future performance. Recipient’s trading results may vary. Because the risk factor is high in trading the markets, only genuine “risk” funds should be used in such trading. If Recipient does not have the extra capital that Recipient can afford to lose, Recipient should not trade in the markets. No “safe” trading system has ever been devised, and no one can guarantee profits or freedom from loss. Required Disclosure and Other Trading Disclosures. All Results. All trading results presented by Author in writing, picture, video, or otherwise are based on simulated or hypothetical performance results that have certain inherent limitations. Unlike the results shown in an actual performance record, these results do not represent actual trading. Also, because these trades have not actually been executed, these results may have under-or over-compensated for the impact, if any, of certain market factors, such as lack of liquidity. Simulated or hypothetical trading programs in general are also subject to the fact that they are designed with the benefit of hindsight. No representation is being made that any account will or is likely to achieve profits or losses similar to these being shown. Hypothetical Results. All trading results presented by Author in their marketing materials are based on simulated or hypothetical performance results that have certain inherent limitations. Unlike the results shown in an actual performance record, these results do not represent actual trading. Also, because these trades have not actually been executed, these results may have under-or over-compensated for the impact, if any, of certain market factors, such as lack of liquidity. Simulated or hypothetical trading programs in general are also subject to the fact that they are designed with the benefit of hindsight. No representation is being made that any account will or is likely to achieve profits or losses similar to these being shown. Hypothetical Disclosure. HYPOTHETICAL OR SIMULATED PERFORMANCE RESULTS HAVE MANY INHERENT LIMITATIONS, SOME OF WHICH ARE DESCRIBED BELOW. NO REPRESENTATION IS BEING MADE THAT ANY ACCOUNT WILL OR IS LIKELY TO ACHIEVE PROFITS OR LOSSES SIMILAR TO THOSE SHOWN. IN FACT THERE ARE FREQUENTLY SHARP DIFFERENCES BETWEEN HYPOTHETICAL OR SIMULATED PERFORMANCE RESULTS AND THE ACTUAL RESULTS SUBSEQUENTLY ACHIEVED BY ANY PARTICULAR TRADING SYSTEM. ONE OF THE LIMITATIONS OF HYPOTHETICAL OR SIMULATED PERFORMANCE RESULTS IS THAT THEY ARE GENERALLY PREPARED WITH THE BENEFIT OF HINDSIGHT. IN ADDITION, HYPOTHETICAL OR SIMULATED PERFORMANCE TRADING DOES NOT INVOLVE FINANCIAL RISK, AND NO HYPOTHETICAL OR SIMULATED TRADING RECORD CAN COMPLETELY ACCOUNT FOR THE IMPACT OF FINANCIAL RISK IN ACTUAL TRADING. FOR EXAMPLE, THE ABILITY TO WITHSTAND LOSSES OR TO ADHERE TO A PARTICULAR TRADING PROGRAM IN SPITE OF TRADING LOSSES ARE MATERIAL POINTS WHICH CAN ALSO ADVERSELY AFFECT ACTUAL TRADING RESULTS. THERE ARE NUMEROUS OTHER FACTORS RELATED TO THE MARKETS IN GENERAL OR THE IMPLEMENTATION OF ANY SPECIFIC TRADING PROGRAM WHICH CANNOT BE FULLY ACCOUNTED FOR IN THE PREPARATION OF HYPOTHETICAL OR SIMULATED PERFORMANCE RESULTS AND ALL OF WHICH CAN ADVERSELY AFFECT ACTUAL TRADING RESULTS. No Recommendation for Buy or Sell. Nothing presented by the Author through the provided Software or other Services should be construed as a recommendation to buy or sell any security. Trading in Commodity Futures is very risky. There is a possibility of substantial financial loss, greater even than monies initially invested. 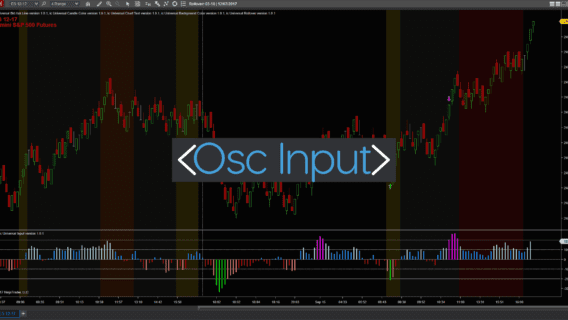 Simulated, hypothetical performance results have certain inherent limitations, due to the fact that the trades have not actually been executed. Simulated Results. Simulated trading results, in general, may be influenced by the fact that the algorithms which generated them were designed in consideration of historical trends, and with the benefit of hindsight. Past real or hypothetical performance is not a guarantee of future results, real or hypothetical. No representation is made that any trading account would, or would be likely to achieve profits or losses similar to the real or hypothetical results. Author is held harmless and is without liability regarding any use whatsoever of the trading system software and services. Trading may not be Suitable. Trading may not be suitable for all potential users of the Author’s Software and Services. Recipient, and not Author, assumes the entire cost and risks of any trading Recipient may choose to undertake. Under no circumstances shall Author be liable for any special or consequential damages that result from the use of or the inability to use, the materials, if any, provided by Author. Applicable law may not allow the limitation or exclusion of liability or incidental or consequential damages, so the above limitation or exclusion may not apply to Recipient. In no event shall Author’s total liability to Recipient for all damages, losses and causes of action, whether contract or tort (including, but not limited to negligence), or otherwise exceed the amount paid by Recipient for the current year, if any, for use of materials provided by Author. Investment Advice. Author is not a registered broker dealer, financial advisor, or investment advisor. Author does not provide personal investment advice. Always seek advice and guidance from professional, licensed, and registered investment advisors, financial advisors, tax advisors, and legal advisors prior to making any investment decisions. Methodology and System. 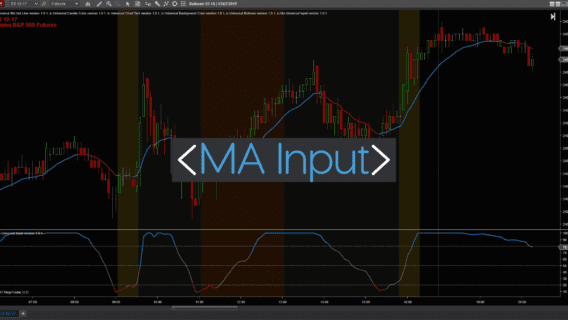 Any trading methodology, Software, or system presented, suggested or recommended by Author are ideas that are subject to change without notice. The ultimate choice and responsibility of a trading methodology, Software, and/or system is Recipient’s alone. Any results or performance numbers are hypothetical, apply only to the current version of trading methodologies, Software, and/or systems, and are not intended to show the results of past versions of methodologies, Software, or systems. Author is not responsible for notifying Recipient about changes in methodologies or systems and has neither the right nor responsibility to alter what is traded in Recipient’s accounts. Trade Signals. Author makes a good faith effort to see that all trading signals are correctly generated but cannot be held liable for missed or erroneous trades or for operation issues on Recipient’s trading platform and trading system(s). Additionally, from time to time, depending on market conditions, the Author may determine it is best for signal performance to pause the release of new signals until market conditions improve. There are no credits/refunds for days in which signals are not released as it is part of the Author’s overall strategy of identifying and maintaining high quality actionable trade signals. Results. No representation is being made that any account will achieve similar results to any other account or actual or hypothetical performance numbers presented in the Author’s site or materials. Results can vary significantly from brokerage to brokerage, depending upon many factors not under the control of the Author. Trading Platform. Author trading signals, charts, Software, methodologies, and system are functional only on specified trading platforms. 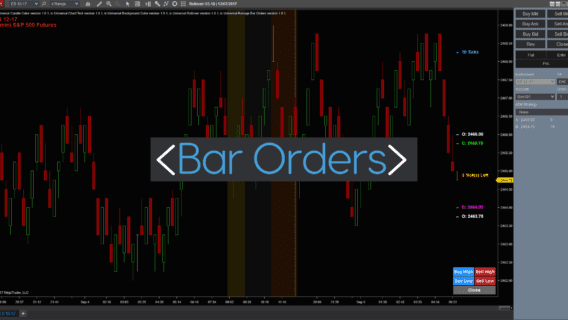 It is the Recipient’s responsibility to obtain, at a separate fee, the appropriate trading platform (e.g., NinjaTrader, TradeStation, etc.) to receive the Author provided trading signals. Recipient Acknowledge. By signing this agreement, or by installing, copying, or using the software, Recipient agrees they fully understand all representations made, or that have been made by Author are based on hypothetical trading results and Recipient fully understand no NinjaTrader company has any affiliation with the Author’s products or services herein, or otherwise. Data Feeds. 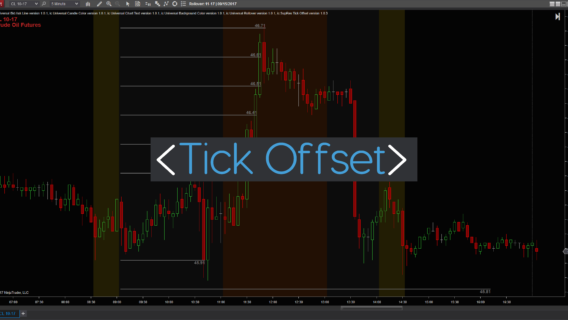 Differences between data feeds might not only alter the entry and exit times and prices used by separate instance of the same trading system, in some cases these data feed differences will lead to entirely different trading decisions and outcome. Reasonable Care. Author has taken all reasonable care and precaution to ensure that information about the System and Services is fair and accurate, or has been compiled from sources believed to be reliable. Nevertheless, the Author does not make any representations or warranty, express or implied, as to the accuracy, completeness, or fitness for any purpose or use of the Software and Services. The Software may not in all cases be current, and it is subject to continuous change. Accordingly, Recipient should not rely on any part of the Software as authoritative or a substitute for the exercise of Recipient’s own skill and judgment in making any investment or other decision. Author does not warrant that the Software is error free, and will not be liable for any direct, indirect, or consequential loss arising from any use of or reliance on this Software. Author Initiated Cancellation. The Author maintains the right to cancel and / or terminate any and all subscription services and/ or Software for any reason, at any time, and without notice. Ownership of Software. Author or its Third Party Content Providers own the title, copyright, and other intellectual property rights in the Software. Consent to Use of Data. Recipient agrees that Author and its affiliates may collect and use technical information gathered as part of the product support services. Author may use this information solely to improve products and services and will not disclose this information in a form that personally identifies the Recipient. Government End Users. If the Software and related documentation are supplied to or purchased by or on behalf of the United States Government, then the Software is deemed to be “commercial software” as that term is used in the Federal Acquisition Regulation system. Rights of the United States shall not exceed the minimum rights set forth in FAR 52.227-19 for “restricted computer software”. All other terms and conditions of this Software License apply. Damages. If the Software, Services, or this agreement’s terms are otherwise breached by the Recipient, the Recipient will be liable for each instance of breach multiplied by the initial sign-up fee plus the yearly subscription price for the Author’s product at the time of breach. Example One. If the Recipient shares the Software provided by the Author, the Recipient will be liable for each download of the Software multiplied by the sum of the sign-up fee plus the yearly subscription price for the Author’s product at the time of breach. If the download is further shared, the Recipient will be liable for each instance of dissemination as described above. This example is not all inclusive and is illustrative of how damages will be applied and calculated. Other fees and costs. The Author shall be entitled to recover any fees and costs, including reasonable attorneys’ fees, in obtaining any such relief. Remedies Cumulative. All rights and remedies provided in this Agreement are cumulative and not exclusive of any other rights or remedies that may be available to the parties, whether provided by law, equity, statute, or in any other agreement between the parties or otherwise. Entire Agreement. This Agreement sets forth our entire agreement with respect to the Software and the subject matter hereof and supersedes all prior and contemporaneous understandings and agreements whether written or oral. Amendment. Author reserves the right, in its sole discretion, to amend this Agreement from time to time and will provide the Recipient with notice of the update in a manner consistent with “Notices” subsection 10.4, below. At any time following the Author’s update, the Recipient’s use of Software, subscription service, member’s forums, and/or access of any of the Author’s content, to include but not limited to ArcasTrading.com, will constitute as the Recipient’s acknowledgement and acceptance of the updated Agreement. Assignment. Recipient may not assign this Agreement or any of its rights under this Agreement without the prior written consent of the Author and any attempted assignment without such consent shall be void. Notices. Author may deliver any notice required by this Agreement via pop-up window, dialog box, email, or other device, even though you may not receive the notice unless and until you launch the Software. Any such notice will be deemed delivered on the date Author first makes it available through the Software, irrespective of the date of receipt. Governing Law. This Agreement shall be governed, construed, and enforced in accordance with the laws of the State of Virginia, without regard to its conflict of laws rules. Severability. If any provision of this Agreement is held by a court of competent jurisdiction to be invalid, illegal, or unenforceable, the remainder of this Agreement will remain in full force and effect. Waiver. Failure or neglect by either party to enforce at any time any of the provisions of this license Agreement shall not be construed or deemed to be a waiver of that party’s rights under this Agreement. Headings. The headings of sections and paragraphs of this Agreement are for convenience of reference only and are not intended to restrict, affect or be of any weight in the interpretation or construction of the provisions of such sections or paragraphs.